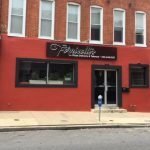 Pizza Palace will open at the former Fornicolli’s at 1538 Light St. in Federal Hill/South Baltimore. Fornicolli’s closed late last year. 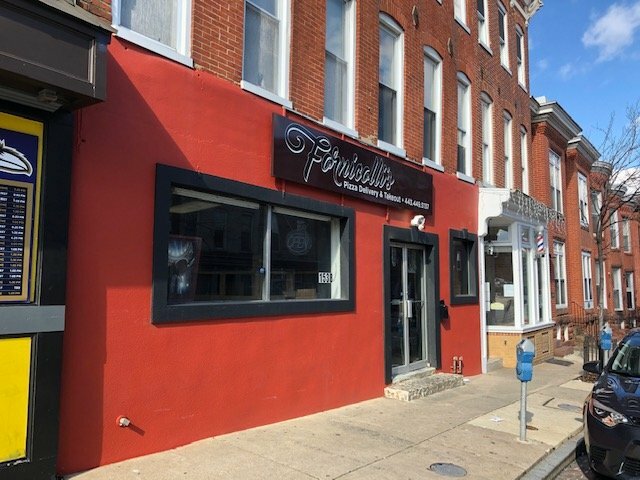 Amer and Abdelhady had been looking around the Baltimore area for a location for their new carryout restaurant before deciding on Federal Hill. 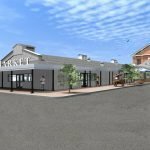 The two are currently renovating the restaurant space with all new kitchen equipment including a larger pizza oven, a new ordering counter, new floors, and cosmetic upgrades. A new sign will be added to the exterior and the restaurant will have a small dining room. The focus of Pizza Palace will be carryout and delivery. The menu will include whole pizzas, subs, wings, pasta dishes, salads, appetizers, and dessert. Amer said Pizza Palace will offer a lot of toppings, but there will be no pork on the menu. Sausage and pepperoni will be made of beef. Pizza Palace will be open everyday starting at 10am. The teams plans to close around 1am during the week and after 2am on Friday and Saturday nights. Amer said they are working hard to get Pizza Palace opened in March. 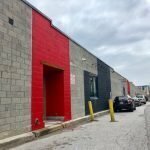 Fornicolli’s former owner Nathan McKinney told SouthBMore.com he sold Fornicolli’s to focus on getting his other business Das Bier Haus reopened. Das Bier Haus has been closed since December.